Are you missing a tooth or teeth? Would you like a permanent replacement? If so, dental implants could be the ideal solution for you. Dental Implants are today considered the gold standard of treatment for missing teeth. They are fixed in position permanently unlike a denture and there is no need to cut down otherwise healthy teeth beside the gap to make space for a bridge. A dental implant is a titanium screw with a special coating that is surgically inserted into your jaw bone to replace the root of a tooth. 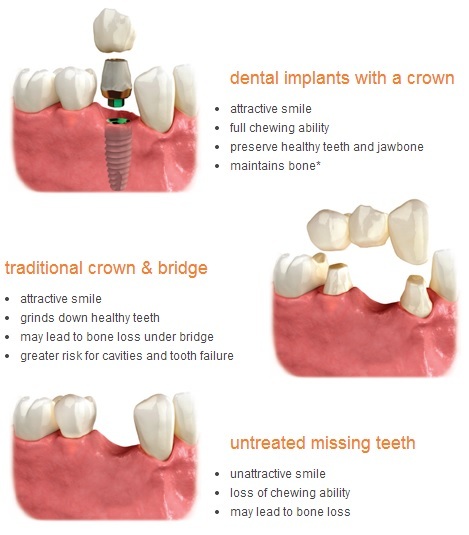 A porcelain crown or bridge is then screwed into the implant to replace the missing tooth/teeth. Alec is especially interested in restoring people’s smiles and dental function using dental implants. He has pursued extra qualifications specifically in the field of Implant Dentistry. He has been awarded a Diploma in Implant Dentistry from the Royal College of Surgeons Edinburgh (D Imp Dent RCSEd). 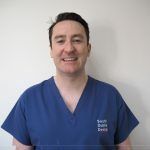 Alec carries out all implant consultations, surgery and final restorations at South Dublin Dental. For nervous patients, Alec can also offer IV sedation when placing the dental implants. Initial implant consultations are carried out free of charge currently. At the consultation a detailed treatment cost for proposed treatment will be formulated. South Dublin Dental is one of a very few dental clinics in Ireland who have an onsite CT scanner. This scanner can take an image of your bone in 3 dimensions aiding the planning and placement of your dental implant. This minimizes surgical time and ensures a safer surgery than if just using dental x-rays. Alec has a deep interest in the digital revolution taking place in dentistry. Using our onsite 3D printer surgical guides are often printed and used in the placement of implants. How much will the implant treatment cost? The price for a single implant including the porcelain crown replacing one tooth is €1,695 at South Dublin Dental. Each case is different and needs to be evaluated on its own merits. We offer a free consultation where we will go through your case thoroughly taking any necessary radiographs and give you a verbal estimate, the following day we will send you a written treatment plan with full breakdown of costs. Your dental implant treatment is eligible for tax relief at 20%. The implant treatment involves a few appointments over a number of months which can facilitate a payment plan of installments if needed. Our pricing is competitive but we do not compromise on the quality of materials used. We use two different dental implant systems depending on indication. Both systems are from the U.S.A. and both have a proven track record of over 20 years of manufacturing dental implants.